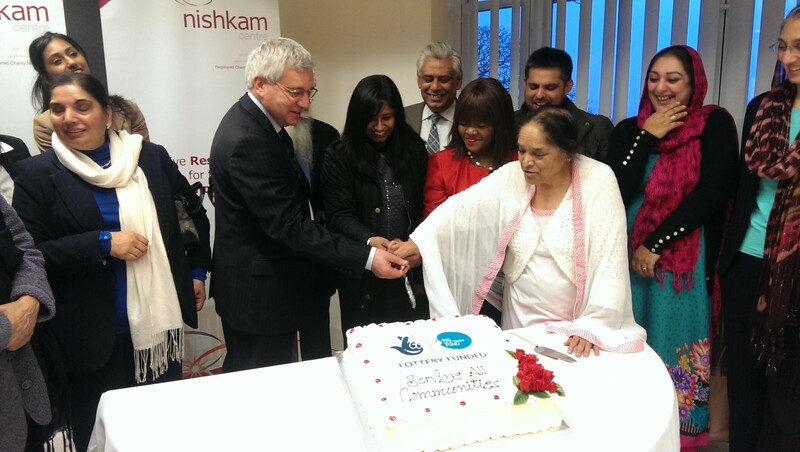 A new service funded by Big Lottery and managed and coordinated by the Nishkam Civic Association (NCA) has been launched in Birmingham. The NCA in partnership with strategic partners UK Asian Women’s Centre and the Sikh Community Youth Services have launched the Birmingham Community Advice (BCA) Project which offers information, advice and guidance services via existing service providers across Birmingham. An event was held to mark the launch of the advice services project back in December and was very well attended which showed the level of interest in the services and the eagerness of community groups to come together to collaborate. The launch was attended by local councillors, third sector organisations and public sector services. Whilst there was limited time to arrange the event and send out personal invitations, the support and turnout was overwhelming with over 40 organisations representing all parts of the City. The event commenced with paying respects and a minute silence in honour of the great man, Nelson Mandela. This was followed by a brief overview of the project given by the Project Coordinator – Gulbag Singh – to enable everyone to understand the specifics of the project, meet the team, see how their clients might benefit and how to get involved. BCA is a City-wide service and will offer a free, impartial and confidential service for people from BME communities to gain advice and advocacy support in the key areas of, Employment and Discrimination Law, Welfare Benefits, Specialist Housing and Debt. The project team is keen to ensure that service provision is extended to offer a value added service to the local communities and organisations. By offering volunteers the opportunity to gain priceless training and experience working with experienced case workers to support them and organisations to build resilience in these unsettled times. With the harsh and relentless cut backs and scarcity of funding opportunities it is paramount that all means to collaborate and build partnerships / networks are explored. The launch event, hosted my Sewa Singh Mandla, a Trustee and Non Exec Director of NCA, heard from Councillor Mahmood Hussain, Amrick Singh the Nishkam Centre Director, Mrs Sudarshan Abrol Hon CEO of the UK Asian Women’s Centre who proudly shared the history and tireless work they do and the impact they have. 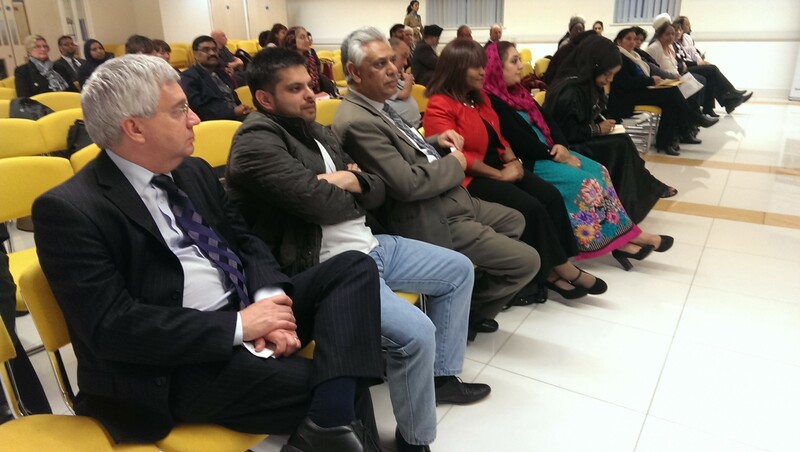 Cllr Hussain commented on how the Nishkam Centre with its faith based, values-led and volunteering ethos had been a flagship example in Handsworth and Soho. He went on to say, “Nishkam promotes equality and practices a labour of love in extending their hand to all who have needed it, helping to eradicate inequalities”. 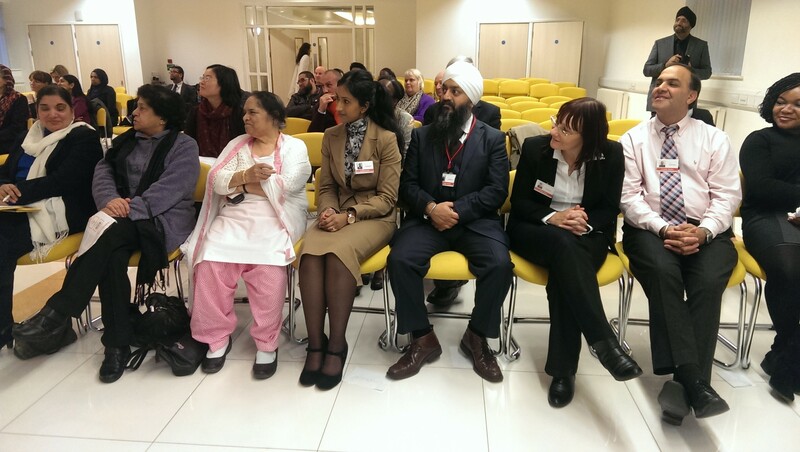 Gulbag Singh, BCA Project Coordinator, said “The guests came from a variety of backgrounds and they were receptive to working in partnership and forging working relationships between third sector and public services. I was encouraged by the level of commitment to work together and it was great to see several councillors from across the wards come to support the launch event”. The BCA team will now be busy securing outreach locations establishing working partnerships within existing community organisations so that services can be provided and a sustainable working model created. The team is mindful that whilst quality in all aspects is crucial, offering a compassionate and culturally sensitive service, particularly for those with language and cultural barriers, is of utmost importance. Amrick Singh, Centre Director, said, “We are grateful to Big Lottery for supporting this project and it is a fantastic accolade for a third sector organisation to be able to work with local partners to build resilience and capacity. I am also glad that so many councillors, organisations, service providers and friends were able to support the launch and continue to be great allies to deliver fantastic services to the people of Birmingham”. The event closed with a cake cutting ceremony and a buffet for all to enjoy a culinary delight, network and speak to staff from the BCA project. 1. Nishkam Civic Association is one of the five centres for excellence created by Guru Nanak Nishkam Sewak Jatha (GNNSJ) a multi-faceted, faith based organisation. Chaired by Bhai Sahib Dr Mohinder Singh it aims to serve and uplift society through the practice of core values – nishkamta, or the spirit of selflessness, being one of them. It has generated a flourishing culture of volunteering, which has contributed immensely to transforming visionary projects into reality. 2. UK Asian Women’s Centre is bonding South Asian women without prejudice of their Religious beliefs, varying abilities or skills and age. It plays a vital role to support and shape women’s social capital so that women can make choices and changes for themselves, their communities and families. The UK Asian Women’s Centre does this by building their confidence, upgrading their skills and enabling them to achieve economic independence. UK Asian Women’s Centre has been supporting women in employment for the last ten years and hopes to continue to fulfil its aims and objectives. 3. Sikh Community & Youth Service UK (SCYS UK) is a “one stop” Information, Advice, Guidance and Training centre providing specialist support, advice and services to the local community. SCYS UK provides a number of key services linked to employment, housing, social, health, welfare, advice and educational services.